discussing pedagogic techniques that support self-regulated design learning and lead to greater student achievement and performance. 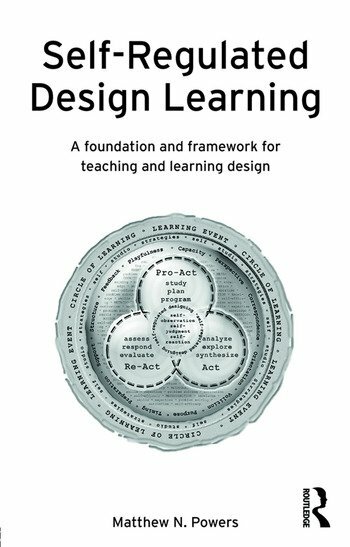 Self-Regulated Design Learning: A Foundation and Framework for Teaching and Learning Design provides numerous examples and applications to help design educators understand how to implement the self-regulated design learning methodology in their studios. Through this book, design educators will discover new ways of encouraging meaningful design learning through an advanced approach that is empowering, inspiring, and vital. Matthew N. Powers is an Associate Professor in the Department of Landscape Architecture at Clemson University, South Carolina, US. Dr. Powers teaches environmental design studios at various scales. His research emphasizes cognitive-oriented pedagogy and landscapes designed to enable teaching, learning, and play. Dr. Powers and his students have received numerous awards for outstanding research and innovative design.